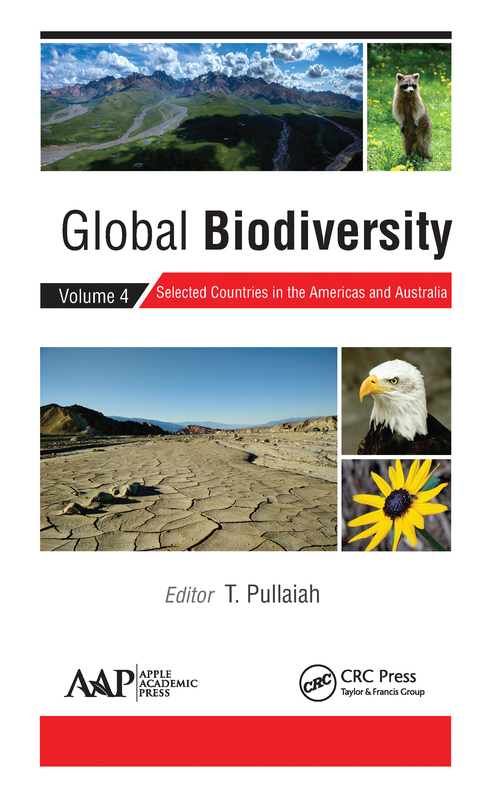 This fourth volume in the new multi-volume set Global Biodiversity is a rich resource on the biodiversity of a selection of countries in the Americas and in Australia. Chapters explore both wild and cultivated plants, wild and domesticated animals, and the variety of microbes of the countries of Bolivia, Brazil, Canada, Costa Rica, Cuba, Ecuador, Honduras, Mexico, Australia, Paraguay, the United States, and Venezuela. The different chapters explore the geographical status, ecosystem diversity, species diversity, genetic diversity, and conservation efforts in each selected country. They focus on genetic diversity of crop plants/cultivated plants and domesticated animals and their wild relatives and also discuss the endangered and protected plants and animals of the respective counties. Other volumes in this series include coverage of selected countries in Asia, Europe, and Africa. The volumes provide an informative compilation on the variety and variability of life in the regions discussed and will help to fill the gap in knowledge while also encouraging the conservation of biodiversity and sustainable utilization.